Whaia walks with an array of Taonga Puoro/Traditional First Nations Instruments and family of Crystal Singing Bowls creating her own unique cradle of embedded healing phonics. Born in Hawkes Bay a Ngati Kahugnunu woman, she was raised in the outback desert on Yindjibarndi country in the Pilbara, far north Western Australia. The arid harsh beauty of the land and her aboriginal grandmother shaping her story from the age of 6. Whaia, pronounced like – ‘fire’, celebrates her culture and connection to source, integrating her language of Te Reo Maori within her Sacred Sonics. 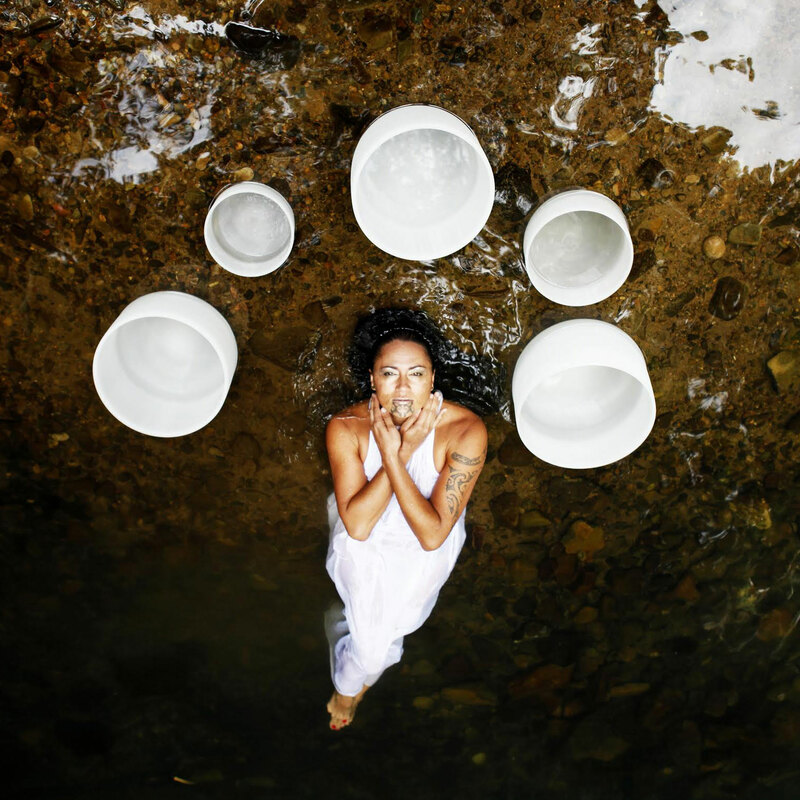 Shaped from her life’s journey Whaia activates an ancient primordial voice that will no doubt rumble your inner jungle, soothe your bones and shake loose that which can serve your awakening process.